On March 19, the Center for Constitutional Rights, the Cardozo Immigration Justice Clinic, and the National Day Laborer Organizing Network released 22 documents obtained though Freedom of Information Act litigation as part of the Uncover the Truth campaign. The documents, which reveal communications between ICE, Congressional representatives, and state and local law enforcement officials about immigration detainers (also known as “ICE holds”), confirm that ICE views immigration holds as voluntary. The documents also detail two cases of ICE holds placed on US citizens–an issue that has garnered increasing attention following findings by researchers at by UC Berkeley that over 3600 US citizens have been detained through S-Comm. Finally, the documents call into question the Obama Administration’s commitment to “prioritized enforcement” by showing that ICE holds are regularly placed on all individuals suspected of being deportable, regardless of the seriousness of their offense or the disposition of their charges. ICE holds have become the subject of increasing attention in recent months, with several of the nation’s largest cities and counties passing legislation restricting compliance with the requests for local police assistance in the detention of suspected immigrants. 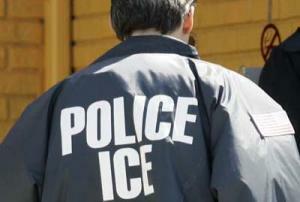 (For a list of local ordinances and accompanying text, visit http://altopolimigra.com/detainers/) Litigation challenging the constitutionality of ICE holds –which purport to authorize detention upon the “initiation of an investigation” into an individual’s immigration status–is also pending in federal district courts in Connecticut and Illinois. Advocates hope that the documents released today will shed further light on abuses associated with ICE holds, and bring further momentum to state and local efforts to limit compliance with the ICE requests. This entry was posted in Featured, FOIA (Detainers) on March 20, 2012 by Ian. Pingback: New Documents Released: ICE Holds Voluntary! !